I found the most wonderful little toy at Toys R Us the other day! It's a tiny little Cabbage Patch doll. To me, this is the perfect miniature doll. It has so many elements that I find irresistibly fun, it's almost like it was made for me. 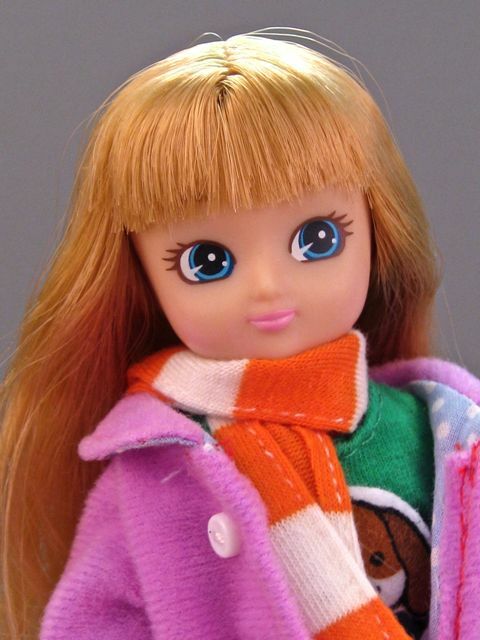 First of all, this doll costs under $5.00 ($3.99 at the moment), which is practically unheard of these days. 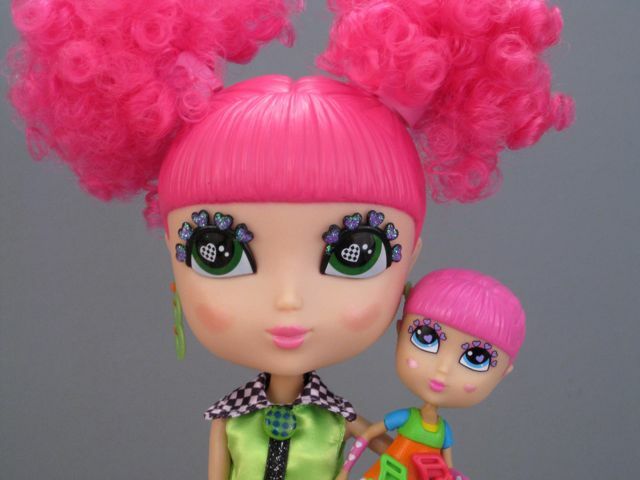 Most of the mini dolls on the market (Lalaloopsy, Cutie Pops, LPS Blythe) cost closer to $10. Second of all, the gender of the doll is a secret. I love surprises! To me, waiting to learn the gender of a real child is one of life's greatest and most exciting secrets. Any doll that can re-create even a tiny fraction of that anticipation is instantly appealing to me. Third, this doll has a hidden name. As a little girl, I named everything in sight, including all of my dolls and a massive collection of Breyer model horses. I still love naming things and thinking about names and I am always excited to learn what friends and relatives (and even celebrities) name their babies. Full size Cabbage Patch Kids all come with a unique name (a first and a middle name), and I used to lurk in the toy aisles, trying to get a peek at what the names of all the Kids were without giving away what I was doing. I still do that, actually. Having a secret name for a doll is a brilliant marketing strategy, because I have to buy the doll in order to learn the name. Luckily, for $3.99, this isn't a huge burden. So...here's my cute baby who could be a boy OR a girl and who has a secret mystery name! Eeee! Are you excited? 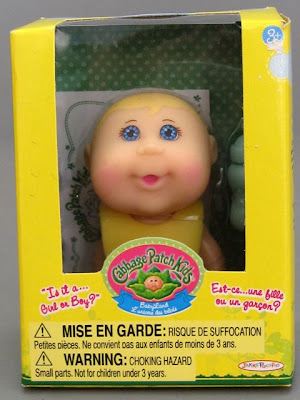 Cabbage Patch mini doll: blonde hair, blue eyes. Cutie Pops "Swirly Brights" and Cutie Pops "Petites"
I was inspecting the toy aisles at Target the other day, and it was pretty clear that 2013 is in full swing...at least in the play doll world. I saw two new Bratzillaz lines (Magic Night Out and a group of basic dolls), the Ghouls Alive Monster High dolls (the ones with sound, lights or action), some tempting Garden Party La Dee Da dolls, the Orbit Beach Novi Stars, adorable Lala Oopsie horses and three new Cutie Pops lines. Phew! I was especially excited to see the new Cutie Pops. There is a new character (Carmel), old characters in new outfits, more new characters in a collection called called "Swirly Brights," and a group of four mini dolls or "Petites." I am a pretty big fan of Cutie Pops, so I like to think that the release of all these new items indicates that Jada Toys is enjoying some well-deserved success with their colorful, creative dolls. Cutie Pops Swirly Brights "Magenta" and Cutie Pops Petite "Dixie." My review inspiration comes from unexpected places. For example, we were sitting around chatting about stuff in Panama, and my brother-in-law mentioned a play doll catalogue that had recently arrived in the mail at his house. He couldn’t remember the name of the line, but it had clearly made an impression on him. He described the girl dolls as being cute and wearing nice-looking historical costumes, but he described the boy dolls as being (and I quote) “grotesque.” That got my attention. Grotesque? Really? Definitely worth investigating. He elaborated to explain that while the male dolls have child-like bodies, they’re burdened with large heads and angular man-features. The problem was, I had absolutely no idea what dolls he was talking about. I thought maybe he meant Ellowyne Wilde? But Rufus isn’t grotesque, really, just comical. I literally had no idea where to start my search for these mystery dolls. Googling "grotesque male doll" didn't get me anywhere I wanted to be. Fortunately, my mom came to the rescue. She used her Google superpowers and tracked down the Carpatina line in under twenty minutes. Erin doll wearing the "Guinevere" fashion. This post is a follow-up to my original Kurhn post, below. In other words, my original post was way, way too long and I had to divide it into two parts. 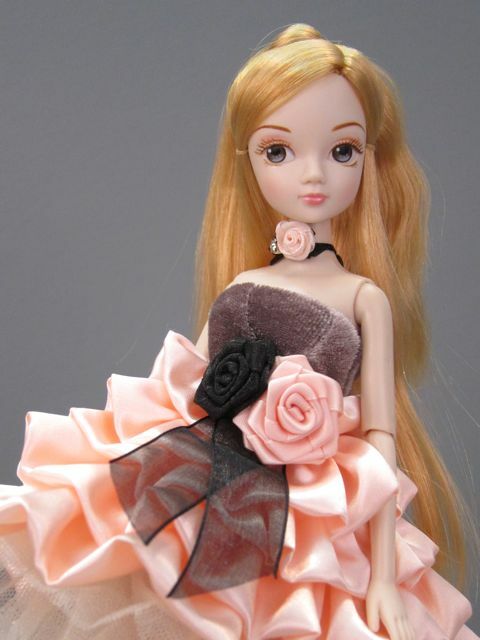 Kurhn dolls are 10.6 inch articulated plastic fashion play dolls made by Kurhn Toys Co., Ltd. in Foshan City, China. They are essentially the Chinese version of a Barbie doll and I'm told that they're even made in the same factory that Mattel uses to manufacture Barbie dolls. Moni introduced me to Kurhn dolls back in September when I reviewed my first Tangkou doll, Loli. It's not so easy to find information about these dolls online. The Kurhn website, for example, seems to be out of date. 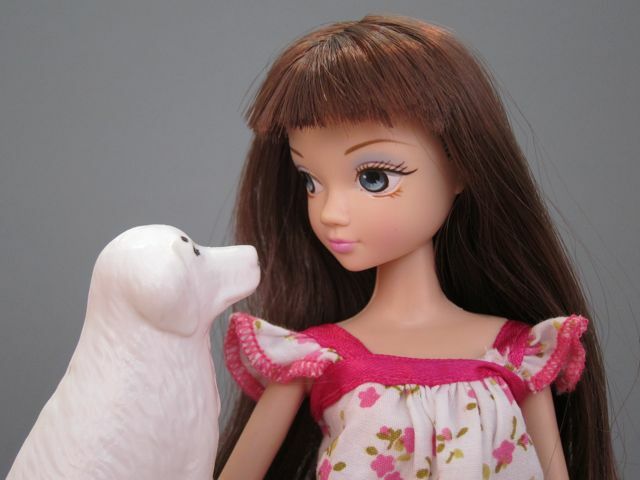 I've found three big online sources for purchasing Kurhn dolls. The first is an eBay seller (flyingannalee) with a huge selection of dolls. The second store is called ChinaSprout and is a New York based store and an educational resource for Chinese culture. The third option is an eBay-style marketplace called Aliexpress where I've heard you have to be careful about which vendor you choose. I bought my items from flyingannalee and was very happy with the prices and service. 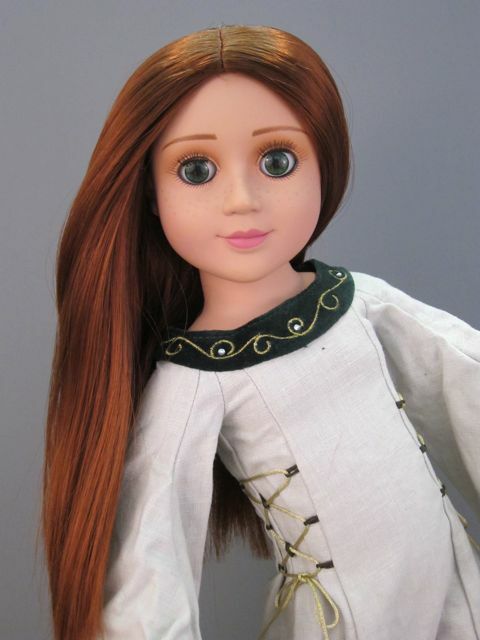 There is a huge diversity of available Kurhn dolls. 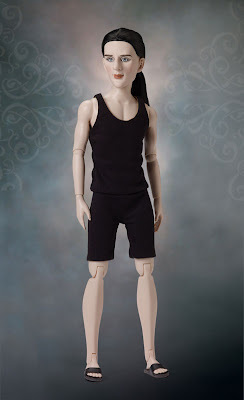 You can see a great database of these dolls on this blog. After a lot of deliberation, I chose two Kurhn items: a kitchen play set (I love kitchen playsets...) that includes a very basic doll and also a more elaborate "Glamorous Kurhn" doll with strawberry bonde hair and a fancy party dress. I will review the kitchen set in this post and the Glamorous Kurhn in the next post.